A few weeks ago I asked on the ViperChill Facebook page whether people would be interested in a blog post on how I’ve developed various web software and plugins. The question was the most ‘liked’ status update I’ve ever made, making it clear that I should definitely write about this topic. Instead of just covering the development of my tools that already exist, I also have an announcement to make about an app I’ve been working on for months, which is making its world debut this week on Monday the 27th. I’ve been dropping quite a few hints lately about what I’ve been working on behind the scenes and I know a lot of people are curious to see what it is. In short, after developing tons of free tools and plugins over the last two years, I’m finally going to be releasing my first premium WordPress plugin. Premium meaning, for once, it actually costs money. I don’t want to say too much about it and give away the surprise, but I will say it fixes a problem that literally every blogger on the planet has (and you might not even know about it). On the launch page I call it the premium WordPress plugin for bloggers who get it because once you understand the concept and how many doors this software is going to open, you’re going to see it’s an essential tool to have in your arsenal. For the rest of this post I’m going to share how you can turn your own ideas for web apps into an actual end result. My new creation is going to be launching in the next few days, so make sure you come back to the site or subscribe via RSS (or email) to ensure you don’t miss anything. I’m always inspired by the success that other people have online. Reading how much people are making – and how they’re doing it – is something that will never fail to motivate me to keep working hard. Before I get into the core details of how you can go about creating your own software success story, I want to quickly highlight some companies that are making a lot of money. 37 Signals – Creators of popular web apps like Basecamp, Highrise and CampFire, reportedly made over $8m in 2008 (up from $5m in 2007) with their services which cost a monthly fee. With an ever increasing number of costumers, I have no doubt they’re well on track to make over $10m in 2012. SEOmoz – The team behind some of the most advanced SEO analytics and reporting software on the planet recently announced that they made $11.7m in 2011. They’re expected to make even more in the coming year. Thesis – This WordPress framework boasts over 46,000 customers on its homepage. Taking away affiliate commissions, I would estimate they’ve made over $3m from the product since its release in 2009. Angry Birds – The popular bird-flinging game initially launched for the iPhone and is now available through Chrome, iPad and Android phones has reportedly made over $100m (!) for its developers, Rovio. They’re even looking to put their company on the stock market. Of course, many of these companies are currently leaders in their fields, and not everyone is going to have the same success as they are. However, their results do show the potential that creating web apps (which is a phrase I use in this post to describe plugins, phone applications, scripts, etc.) have, and proves that software / app development can be a very lucrative avenue to go down. Many of you will know by now that I only like to write about topics which I think I’m qualified to write about. The reason you haven’t seen me do an in-depth guide to Google Adwords, for example, is because as popular as it would be, I don’t use it. I wont pretend that my free plugin releases have been even half as successful as Joost, but with thousands of downloads, they’ve been fairly popular. I haven’t just created plugins either, so I do feel like I have at least a little credibility to talk about this topic. Many of you will know I also own the free traffic tool CloudFlood, which at this moment in time has been used to create 7,500 buttons which are plastered all over the web. I also created an affiliate website builder called affiliateSkin, which I no longer sell, and have my fair share of successes and failures which have taught me a few lessons. Before you get around to creating anything, of course, you need to have an idea. Some kind of concept or definition as to what it is you’re looking to build. A large number of the plugins I’ve created have simply come from a desire to use them myself. My first plugin for example, called Reputation Management for WordPress, which shows alerts you to people talking about your around the web, saved me time by keeping me up to date on social mentions straight from my WordPress Dashboard. That plugin was a built in around 9 days, and only cost me $300 in development work at the time. The reason development was so cheap is because the plugin is actually a very simple concept, and just pulls in content from customised RSS feeds that other services (like Google Blogsearch) are producing. When I started building affiliateSkin, software that allows you to quickly build affiliate sites, it was because at the time I was creating tons of new affiliate websites and wanted a way to speed up the process in an elegant way, giving me everything I need in one place. I focused on the core things I cared about – like creating new pages, having a nice one-column design out of the box, cloaking affiliate links – and put them all in one place. This was actually the only creation I count as a failure when it comes to developing and selling software. More on that in the next section. Other ideas I’ve had were simply to expand on tools I had seen around the web, that were good, but missed things I needed. For example, my free tool Cloud Flood was openly using the same concept as a site called PayWitAaTweet which lets you give people access to things like eBooks or MP3 files, in return for a tweet or status update on Facebook. Bringing you more traffic to your website. The problem with that original service is that I couldn’t use my own custom buttons and their social login process had ads on it, which I didn’t want my own site visitors to have to see. So, I took the concept, made a totally custom version of the tool, removed ads and allowed people to use their own button designs. Simple. Only once have I ever built something that wasn’t something I’ve created for myself, so if you’re looking to get into creating a web app or software or some sort, keep in mind that you’re going to be a lot more passionate about it if it solves your own need. You’ll also likely produce something of a far highly quality than just doing something because you think there’s an audience for it. Going back to what I class as a development project that didn’t go to plan, affiliateSkin, I was aiming to create something I hadn’t seen done before. A custom content management system (CMS) aimed solely at people building affiliate sites, giving them everything they need to quickly build attractive minisites. Market research wasn’t so straight forward on this one. As someone making money as an affiliate marketer, I knew it was something I wanted myself, and since there are millions of affiliates, I instantly assumed there would be huge interest in the offering. To cut a long story short, what I learned here is that people rarely want to have to learn a new system, and they would rather use what they’re used to like Joomla, WordPress or even building static HTML sites if they can. If you’re going to take people away from what they’re accustomed to then you have to build something amazing. Android would not be competing with iOS today if it wasn’t a very good rival. affiliateSkin was good, but I’ll admit it wasn’t good enough. One of the most obvious steps you can take in your market research is to ask potential customers whether it’s something they would be interested in. If you’re building a WordPress Gallery plugin specifically for photographers, actually get in touch with photography bloggers. If you’re making a game, talk to the people who play them. If you’re building an iPhone app for people who love to cook, find people who love to cook. Other people will suggest that you should just ask your current audience on your blog or through Twitter / Facebook and see what they think before you get going. I personally like to keep my ideas a little more guarded, especially if I’m doing something that has largely never been done before. Some of the suggested services on my massive niche research post will be useful for you here as well. When good option for finding what is out there is to state what you want to do and just ask for people for similar products on a related forum. So if you’re coming out with an app for weight lifters to track their meal plans and fitness goals, sign up on a fitness site and ask members for any services that offer those exact things. At the end of the day, using your own intuition is key here. Some of the world’s most popular products today were seen as crazy and strange ideas when they first started out (“Why would I want to write 140 character updates?”) but eventually took off and are loved by a lot of people. Sometimes doing something radically different is awesome, and sometimes there’s a reason nobody else did it before you. Unfortunately there’s no clear cut way to decide which category you’ll end up in. Just like I’ve had up and down results with the ideas I’ve turned into actual solutions, I’ve also had a bumpy journey when it comes to working with developers as well. For those of you who don’t know, I code all of my own HTML and CSS where necessary, and design all of my own graphics in Photoshop, but I’m not a programmer. When I was 16 I had the choice to stay on for further education at my school in England (known as sixth-form), but I decided to move to a college where I didn’t know anyone so I could take up their computer science class, which my school didn’t offer. At this age, since I was interested in computers and web design, I thought I would naturally pick up programming and love it. It turns out that me and programming just don’t mix. As much as I would like to think that you really can teach yourself anything, I agree with my professor who said that “some people have a brain for this, and some don’t.” My attempts at lame programs in Pascal and Visual Basic were enough to tell me that I should be focusing on other things. For some of my earlier plugins, I used a guy from Digitalpoint Forums who had a great reputation in their services section. He said that he could get my plugin idea created in a week – far faster than I expected – so I immediately gave him the job. The first iteration came to me about 10 days later, missing a lot of initial features that I had asked for in documentation, but I wasn’t in a rush so we kept working together. About a week later, I received what I asked for. Now, in this situation I was not dealing directly with the programmers. Instead, I was dealing with, basically, their boss. I’m telling you this because I will never, ever do that again. If I’m not speaking to the programmer myself so I can see that he “gets” my idea, then I’ll work with someone else. I’m not just basing this decision off one experience either. A couple of years ago myself and my friend Diggy had the idea to create a multiplayer online game, with a very simple focus. Once again I found developers on Digitalpoint and was told that the whole game would cost $3,000 to build. We were told that it would take around 6-8 weeks to put together, so after a bit of due diligence to make sure they were a legitimate team, we gave them 50% of the money upfront. Three months later we were given our first update. A very empty shell of what we had asked for, and showing no sign of being finished anytime soon. We cancelled the project with the them and asked for our money back. They agreed that it was only fair due to the massive delays and complete ignorance of spec that their developer had followed, and refunded the money. By this time we were a little less excited about the game idea than we had been originally, and decided it wasn’t worth the hassle to start from scratch with another developer. For my most ‘serious’ and popular WordPress plugin, ViperBar, I found a developer from Twitter who asked if he could work with me. He had been a reader of ViperChill for a while, knew some big marketers personally so understood my aim, and clearly knew what he was doing when it came to development. If I remember correctly I paid around $1,650 for the first iteration of the plugin, which was created in just a couple of weeks to a standard I was really happy with. I had been quoted $1,500, but I gave a small 10% bonus as a thanks for the hard work involved. One running joke I had with this developer is that I’ve had nothing but bad experiences hiring programmers. They either disappear or create something not even remotely close to what I had asked for. This person – I’ll call them Paul – promised they weren’t going anywhere because they liked working with me, and was ready for future projects together. Then after a few days of not being able to get in touch with Paul, I was told he had been snapped up by a company which had just raised $3m in venture capital. I was happy for him, but I was left with an unfinished plugin and once again, no developer. 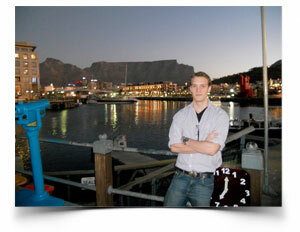 I then turned one of my best friends in Cape Town to help me iron out all the bugs and add some more features to it. He is an amazing developer and is by far the best person I’ve worked with. I’m not saying that because he’s a good friend, but because he is very skilled, understands what I want, and is always thinking about new ways to improve my ideas as he’s building them. Three things that are crucial in turning an idea into something more. I might be an anomaly, but as you can see my experience with hiring programmers has been so bad that I have been tempted along the way to try and pick up programming again. And I didn’t even tell you about one of my good friends who tried to sell my product to his own customers on the side. If I hadn’t started working with my current programmer, I’m not sure how many more ‘failures’ I would have went through before finding someone compatible. Because of this, I’m afraid I really can’t give you much advice when it comes to finding someone reliable. The best thing I can tell you is to look at the work they’ve done before, get references from other people, and make sure they are very, very clear on what you are looking to create before they get going. Digitalpoint still have a services section for this, as does WarriorForum, but oDesk at the moment seems to be the most popular option among friends looking to add to their development team. The first question is from the developer of my own plugins, Graeme. He wants to know why you’ve decided to focus your skills more on developing for WordPress rather than separate apps or projects? It’s not an either/or. I do both. I’ve developed Quix too, which is completely separate. I’ve done several other tools and projects outside of the WordPress space. The only real specialization I have is SEO, not development. You’ve had huge success with the plugins you’ve created; with some amassing millions of downloads. Do you look more to build things that you need or look at what is already successful or even just react to what people ask you to create? I build to scratch my own itch, mainly. I hardly ever add features I wouldn’t use myself. Luckily, I build a lot of sites so I have a lot of itches to scratch. In the end though, a good plugin developer should focus on removing features just as often as on adding features. What advice would you give to someone who is starting to develop plugins and wants to make sure they follow best practices and actually create something great? Make the plugin as simple as humanly possible and don’t invent interfaces in the process. There’s a core equivalent of almost every WordPress interface bit you’d want, so use that. Then, make sure you have all the WP_DEBUG functionality on and you clean up every notice. Most plugins I install on my sites start throwing notices left and right, which is usually a sign of bad build quality. Next: make sure your plugin explains properly how to use it within the plugin itself, not somewhere else. Recently you’ve been working more on the premium side of things. I believe with one shopping plugin and you’re considering about making a premium version of your WordPress SEO plugin. Besides the obvious financial benefit of premium plugins, are there other factors that have seen you make the switch? I’m quite close to releasing my first paid module. I think it’s not for everyone; you have to build a brand first to do this sort of stuff and I feel I have to add real value when making something premium. Though my own plugins are far less popular than yours, it’s incredible how many support questions I can receive. Some from people with a high sense of entitlement. How do you deal with supporting so many users? You can’t make them all happy. I’ve recently stopped doing email support entirely, which has increased my productivity tremendously. The more people use your plugins, the more people should realize that in an open source world they have to give back to the community as well or the system won’t work. So I’m now working on plans to entice more people to help in support. The WordPress core developers don’t do that much support in the forums either, they focus on fixing things. I hope I’ll be able to create a community around my free plugins that works like that too. One of the great things about WordPress is the open development community that allows people to expand on plugins, fix bugs and so on. What are the best ways (if any) to protect what you’ve created, in both free plugins and premium offerings? Why would you want to protect it? The only thing I want to protect is my copyright, but that doesn’t mean people can’t use or change the code, or even profit from it. In fact, I’d encourage anyone to use my plugins as a start for new stuff, as long as they attribute the stuff they copied properly. The open source community didn’t become big by protecting stuff, it became big by sharing. That’s how I’ve built a name for myself too: I share all that I know. It’s probably the most genuine way of building a brand, and therefor the type of brand that will last the longest. I mean, think of it this way: I’m a single person, developing those plugins. Over 6 million people have now downloaded one of these. That’s a kind of scale we couldn’t have reached before the internet. I love that and that’s what keeps me going. Note from Glen: I had meant more in terms of licensing here. For example when creating paid modules I assume you would not want other people selling that, even if they did give proper attribution. Definitely see your point of view here though. Huge thanks to Joost for taking the time out to answer these questions. You can learn more about him on his website, Yoast, and be sure to check out his WordPress plugins page as well. One of them in particular, Comment Redirect, is used on this blog. You’ve developed applications using various API’s, Frameworks and so on. How have you found the transition to developing for WordPress? I love how simple WordPress is internally, and I think other developers who have used it will agree. I’ve used some frameworks (it’s debatable whether WordPress could be seen as a framework itself), and I’ve found many of them to be constricting and obfuscated. WordPress has a philosophy, it seems, to be simple and elegant; I would also say that it has a pragmatic focus on the basics of web development. Coding for plugins for WordPress is also fairly easy to learn, and the platform is more versatile than people give it credit for. If you think about it, how well does the WordPress structure lend itself to a website like 9gag.com? I bet someone could make most of that site using WordPress in a day or two! The problem is that WordPress does still have some areas that it needs to develop. One thing I wish was that WordPress would work on more is their membership system. When someone comes to you with an idea that they want developed. What is the best way for them to get their requirements across? How do you prefer clients to interact with you so you know what they want? I’m usually most comfortable with email. I find that people will often want to talk about their ideas on Skype, but then begin the call almost empty-handed in terms of a definite strategy. If they are using email, at least they’ve committed to what they want in writing; having evidence of the conversation is important as well. Always try to be aware of what your programmer is more comfortable. I can’t emphasize enough how important it is to treat your developer well; bloggers who do this, like Glen and Pat Flynn, should write more about the topic. One thing that I can’t stand is when clients change their minds multiple times regarding things like design. If you’re going to hire a programmer, try create a visual representation of the idea first using Photoshop, so that programmer can focus on the technical details. If you find yourself asking a programmer to make changes in order to “see what things look like”, then you’re doing it wrong. It’s partially your responsibility to make sure that your programmer is making the best use of his or her time, and implementing their most valuable technical knowledge. Hint: hire a professional designer for the same cost per hour, rather than getting your programmer to do design work. You use a Mac if I remember correctly. Could you tell us more about the specific software, tools and any other ‘shortcuts’ you have in your workflow which help you to develop? I used to have a great computer science professor from MIT who taught me an invaluable programming technique: window resizing! Today people usually implement this simple concept by using multiple monitors when they are programming, which is similar. Basically I keep one half of my screen dedicated to my coding, so I keep a great app called Coda open in the right half. Then in the left half of my screen, I have a browser window open with a few tabs. These tabs include references, like the WordPress Codex, my email, and whatever else I need on the Internet. Then I also have the major browsers available so that I can check cross-browser functionality. I usually code in a quiet, well-lit area. When I have to work in teams, I find that having two coders to a screen is the most useful setting. Usually this increases productivity substantially, which seems counter-intuitive to most people, even to developers who do so regularly. The only way to be sure about this is to try out different combinations, and unfortunately I’m not aware of any reliable public studies done in this area of developer productivity. What advice would you give to people looking to have their own ideas developed for the web? If you are able to hire a developer, plan your idea out thoroughly before you start. However, also be open to ideas that the developer has; remember that developers do this for a living, so they actually have extensive knowledge of what works and what doesn’t. Strive to create a good relationship with them while they work. If your developer enjoys working for you, he/she will put a lot more effort and concentration into your project. If you don’t want to hire a programmer for some reason, but have available time, start learning it yourself! It’s really not that difficult, and I believe that anyone can get the foundations covered in less than two months. That’s how long it will probably take you to develop a decent plugin from scratch with no knowledge beforehand. That’s incredible when you think about it! Instead of complaining how competitive the Internet environment is today, just get cracking! Ultimately, the next three months are going to pass in any event, but is your idea going to be developed by then or not? This next section is about how you turn that final creation into something you can sell. If you’re not looking to sell anything, this nice anchor text link will take you to the part of this post where I talk about promotion. For those of you who do want to make money, let’s get into it. I’ve only ever sold software once, besides the odd script here and there, and in a few days I’m doing the same again, so I’m definitely not an expert on this topic, but I do have some experience. When it comes to software, I tend to believe it’s better to promote your offering on a standalone website. You can do the sales page route or you can do the full-fledged website where different areas offer different things like a feature tour, testimonials, screenshots of the offering and so on. Whenever I used to sell eBooks I would always use e-Junkie which charges $5/m to use their services. The beauty of e-Junkie is that they make it really easy to send something to a customer – such as a zip file – instantly after paying for your product through Paypal. It’s a nice solution, but I personally think its better suited for eBooks than apps. For other software I used to own the service used for the payment processor is SPBAS. SPBAS, though fairly expensive, let’s you create a licensing system to protect your software and integrates into a number of different payment services. It is also compatible with iDevAffiliate, so you can give people commissions if they make sales of your software for you. For my upcoming launch I’ll personally be using Clickbank, which I’m sure most of you aware of, at least on the affiliate side of things. As a product owner on Clickbank, there are upsides and downsides to using their service. Some of the downsides being the 10% charge that Clickbank take from the sale of every single product, and the fact that you have no control whatsoever of refunds is also a negative in my book. There’s a small ‘culture’ in their marketplace of people who buy things and just process a refund instantly, which brings down their credibility a little in my eyes. The obvious benefits of using Clickbank though is that they handle the whole payment process for you and when integrated with Wishlist Member (the membership WordPress plugin I use), you can instantly take buyers to a registration page on your site where they get access to your offering. Clickbank also opens you up to millions of affiliates around the world who can easily promote your product if they choose to do so. The affiliate aspect of Clickbank was one of the biggest motivators about me using them, and this will make even more sense when you see what I’m launching. They will take around 3-5 business days to approve your sales page and once they do, you’re good to go. Note that in my limited experience with having owned a product on Clickbank before, you don’t get much of a boost from the audience that is already there. Meaning you aren’t going to pick up hundreds of affiliates overnight just because people can promote your product. Finally, Clickbank also give you the ability to charge a recurring fee if you’re promoting a web based service, so keep that in mind as well. If you’re building apps for devices then you’ll want to add your offering to their respective marketplaces. Apple have a separate marketplace for their regular apps and offerings that work on iPhone and iPads. If you’re developing for Android then there’s no only the official marketplace, but companies like GetJar and Amazon have also released their own, which can help to give you more exposure. Either once your product is finished or as it nears completion, there will come a time when you have to start getting it in front of potential customers. The most obvious way to promote your offering is to share your creation with any audience you do have. I’ve written over 350,000 words of free content on this site without asking for money, and as such there is a large audience here (who I’m really, really grateful for) that come back to listen to what I have to say. I haven’t had any products on this website for over seven months now, and the audience I’ve built will be one of the main focuses of my marketing efforts, since I’ve created something I think will genuinely help them / you. 37 Signals, SEOmoz and Thesis, three of the four multi-million dollar creations I covered at the start of this post all had their initial success from launching to their own communities, which had been built through their respective blogs over a number of years. Many digital product owners like to recruit affiliates to help promote their products. You benefit because you get more customers, and the affiliate benefits because they can make money selling a product they never had to make. I’ve personally found the best way to get affiliates is to just go and find specific people that you’d like to promote for you. If you are going to pitch your product to potential affiliates, make sure it’s not your first contact with that person. If you randomly come to me out-of-the-blue and ask me to push something for you, it’s very, very unlikely that I will. It takes years to build a good reputation, but just one moment to bring it down, and most affiliates will only push quality products to their audience. Make sure that your pitch is short, to the point, and gives potential affiliates a clear, solid reason why their particular audience would benefit from your creation. A slightly less obvious way to help increase the sales of your product is to create something amazing. That should be your aim anyway when putting a service or app together, but keep in mind that a great product can turn your customers into some of your biggest promoters. Treat people the right way while giving them a quality offering, and you’ll start to build those product evangelists. If you’re split-testing your sales page, down the line you’ll likely have copy that converts at a fairly good percentage. At this stage, you can put money into things like PPC advertising and manually buying ads on specific blogs or other online communities. If you get to the point where you’re making more money than you’re spending – which is definitely doable – then you can ramp up the spending and further grow your customer list. We’re wrapping up this post now so I wanted to end it with a number of things that I’ve learned creating software over the years, with the successes and failures that I’ve gone through. I’m 70% off the way through Walter Isaacsons 600-page book on Steve Jobs and I’m constantly amazed and inspired by his coverage on how much of a perfectionist Steve really was. There have been dozens of times when I’m reading and I just think “Wow, that totally sounds like me” though I’m sure I’m not the only one relating themselves to a genius. I hope it has shown in my website designs and numerous creations that I think small details are really, really important. My aim with my new plugin for example is not only to convince people to buy it, but to really ‘Wow’ them when they install it and start playing around. Just for the different icons being used on different sections I went through about 4 or 5 interations before putting together something I was happy with. There’s also a number of really cool ‘feedback’ elements where the plugin interacts with your inputs differently. It’s not something that makes the offering any better, but it’s a nice touch that will hopefully show people how much work has really gone into the creation. The small details aren’t going to matter to everyone, but they matter hugely to me as a product creator, and can greatly improve the experience with you from the customers point of view. I totally agree with one of Joost’s interview answers where he states that it’s just as important to look at the things you can take away from your app as it is to think about the things you put into it. Though it’s important to build something that comes with a user guide / instructions, I believe that most things these days can, and should, be pretty self-explanatory in the creation itself. One of the challenging aspects when developing my new plugin is that there are just so many features involved that we got to the point where the original settings page was becoming far too long and cluttered, so we had to spend some serious time thinking about how we could improve the user interface while still keeping all features baked in. Always, always keep your core aim in mind before going crazy with additions. This is a simple point but it can come with some valuable lessons. When I get around to massively updating CloudFlood, one thing I want to do is making it clearer what the upload section is for. Looking at the database I can see a lot of people trying to upload ZIP files, MP3’s and so on, even though that section is actually just for the image you wish to use for your button. To me it was obvious because I built the thing, but as soon as I watched a friend go through the process I realised that it needed an overhaul. With my latest plugin, one of the main features that I know people will use was actually in a section that didn’t have a name that was related to where it was. Meaning you knew what you wanted to find, but had to click around a few places to discover where that thing is. We simply renamed that section and added some more instructions inside the plugin to fix this, saving a few headaches in advance. Wow man, once again you’ve created a wealth of information here! I never realized Angry Birds made so much money! Sorry I had to edit your comment, forgot to tell you I’m not fully revealing it in this post as planned. Really appreciate you helping me test it and make it awesome! Thanks for the transparency you’ve given over here. Very useful info. Some of us just tend to get stuck in the “idea phrase” and not really fall through with the rest of the steps. This post was motivating in that sense…. Appreciate the support and glad you got something out of the post! High quality stuff, in my view following current trends and marketing strategies are important to create any app. Eventually it will start making $$$ bucks in short span of time. What’s popular right now can definitely give you inspiration for what they’re missing, so you can fill the gap. Hi, Glen..A great inspirational post. Woow. Fantastic post, Glen. This is why I love your blog ;). I know that premium plugin is going to be super awesome. Can’t wait to see that plugin. Really appreciated your support over the last two years! Very nice. Long live long content…when it’s done as well as you do it. Anxious to see what you’ve done! Can’t wait to see what your new plugin is all about. Really creative post Glen, can’t say I expected you to address this topic but you really did a great job with it. Can’t wait, and good luck with the launch. Once again, an excellent post Glen! I can’t wait to try to develop some of my ideas into web and mobile apps. Hmmm…..how long did it take for you to master the art of SEO shtuff again? I barely started, and I am like a big baby, sucking my fist at compooter shtuff. Well anyways, you started somewhere, and I’m very glad you began sooner than most! Do it with love. Why do you think mom’s cooking is always the best? Really appreciate this post, I’m rather new to your blog. Definitely going through all of the other content. It’s amazing that your creating posts like this. Finally, like usual, inspirational and awesome how-to post. Thanks a lot Glen for your commitment to teach us everything from scratch. One thing I still umm and ahh about it whether or not to have separate landing pages for my various products/offers/free giveaways. I notice Yaro has different domain names for all the things that he does. Thoughts? Great post..! And as usual I will return to re-read as I usually do, this is because you provide so much great information. Bravo..! I look forward to the new software you’re about to release. As always very rich and great post! I have many ideas on new and useful apps, and every time something pop-up in my mind (like today on the morning), is just to find out later that it already exists and someone else making big money. Another think – I am always worry, due to lack of SOLID coding skills for specific platforms, that I have to share my genius idea with programmer, or someone else who has MORE power than me (social/financial etc) and risk that someone else will use it, not me. And I don’t have clue how I could show my ideas to the world without worrying that someone steal my concept. That’s why so far, all ideas I am keeping for myself, with no action. Not really sure how to deal with this to be honest. In my specific situations I think it’s been clear that you need to have an ‘audience’ already for these things to work, or at least know how to market the end result. Which, a lot of developers don’t know how to do. Obviously that still leaves you with a risk though. You could get them to sign an NDA form, which gives you at least some amount of rotection. If you could use another beta tester I’d love to get involved Glen. I’ve got a background in the WP & WordCamp communities and have done beta testing and development checks on quite a few premium plugins and themes to date. I’ve also got a community that loves that kinda stuff as I write about WP a fair bit. Give me a shout by email if your interested. Already sent it out to quite a few people (and fixed a few bugs) so it looks like we’re all good on that front, but I appreciate the offer! Love you Glenn! This post is exactly what I am needing. Can’t want to see your premium plugin. I’m very excited! After Seth Godin, you are the person whose posts I desperately wait for.. and you have hit the bull’s eye with this one.. I was so desperate to know and understand how does a non-programmer develops a plugin or an apps, and here it is.. the exact stuff which I wanted.. eagerly waiting for the new plugin.. and I am sure it will be a best seller! PS: I never had the opportunity to use affiliateSkin .. is there any possibility I can use it now?? I’m a huge fan of Seth so that means a lot to me. Thanks! I’m really looking forward to seeing what your plugin does to improve our lives. Feels like I haven’t seen you here in forever! great post. I have found to your site via Joanna Wiebe’s COPY HACKERS Book 3 – Headlines – where she uses your Viperbar banner as an example for good headline writing (she says – As intriguing and hard to believe as it is highly desirable – regarding the ease of installation of Viperbar). I have afterwards simply visited your domain and was amazed by the sheer amount of content you share FOR FREE! Dude, that’s amazing. And I think that’s and you’re the reason I will go into blogging even more in the near future. You mention Napoleon Hill here and there throughout this blog and I’m a big fan of his works. Interesting enough I joined a mastermind group as he recommends and we were discussing the topic of app development just in our last “come together”. It’s amazing to see that obviously this hits the trend! I cannot get enough of your insights and your close to magic content so I am really curious what your plugin will be all about and I already said to myself – if I can afford it – I’ll buy it as I am pretty sure it’s useful and high quality. Really appreciate the support and kind words. It keeps me doing what I do! Great article. I get lots of valuable insight into the way you see things from posts where you do this. I appreciate that view into your head. I do have one comment I would like you to consider though and it is about the desire to work directly with the programmer. I think that works well if you are good at writing your design and technical spec but, to be honest, most people aren’t. Or they get a product lacking in features or quality because they don’t know how to translate their ideas into a technical spec. Or worse, they get something that resembles what they wanted but lacks the documentation needed so that they can hand it off to another developer later down the road when the initial developer is gone and they want to scale or enhance their product. Great software takes a small team to design, build and test. Own your product by expecting both the code and the design specification. Let your designer control the metadata, the spec and the code reviews needed to make sure you are a happy guy. That’s certainly true David. The problem is that it’s probably as difficult for the typical blogger to find a project manager – like you describe – who you can trust and also isn’t overly expensive, as it is to find a good and inexpensive developer. My experience working with managers like this has been good, and it’s made it easier to do things like work out financial compensation, discuss technical details, create little work-around plans for complex functions, etc. However, I would be lying if I said that it wasn’t frustrating sometimes not to be able to speak directly to the person in charge. I’d agree with Glen in that, even if you do hire someone technical to do some mediation work, it’s still important to develop a relationship with the programmer directly. If you’re committed to your project, then the extra time spent doing this will be worth it. Like you said, it’s a teamwork process, and I think a big mistake entrepreneurs make sometimes is not being involved enough, and if you don’t know what’s been going on, it’s difficult to know who to hold responsible for the success or failure of the project. I agree with you Graeme. It is important to stay involved. Good designers will bring you and the programmer together several times to make sure everyone is clear on the design. Entrepreneurs should expect at least one JAD (joint application design) session and often a second one to participate in the sizing and priority effort once the vision is clear. I am curious about one thing you mention and that is the challenge to find the right talent at the right cost. Can you think of a solution that would help solve this? I think new entrepreneurs present a unique challenge in this area because their ideas can be fragile and their finances smaller than required for a stable development cycle. Just a side note too – designers often are not project managers. Using the house analogy, I think of them as architects rather than general contractors. congratulations my brother. I cant wait to get and purchase your new web app man. Im very happy for you. Really cool update as always. Already gave it some hard thinking and I can’t even imagine what it is so I’ll guess I’ll find out when you decide to release it. For advice on app development I have to say that even if somebody has the time for learning how to code, it may not be that easy since everyone digests technology differently. It was fun to read that you’re almost done reading Walter Issacson’s book too, I bought a Spanish hardcopy while traveling over Europe and I have to say the same as you. An impressive guy with amazing logic and yes, I also feel related to him. Anyway, take care man and looking forward to that premium plugin! I heard an interview with DHH of 37signals about a month ago where he said they were looking to hit $100m by the end of 2012. In short, I think they’re making a lot more than $12m at this point. Do you have a link? Couldn’t find anything on Google..
Amazing post. The sole reason I started reading this blog is because @jordanfried was raving about quality of information. WOM is so powerful. Have since share site with many friends. Lookin forward to release of your plugin. Now this is definitely worth reading. There’s a lot to learn from this. Took me the best part of an hour to digest this one! Well worth it though, I always thought this type of thing would be impossible for me, you seem to make it much more accessible. Thank you for sharing the process and steps you are using. How you making $$ when your app is free? Is there adds ? Sorry If I cant see. I can’t wait to know more about this new product of yours. Best of luck! Nice kick in the a** for me to pick back up on the iPhone app I’ve been wanting to get developed since forever. It’s something I’ve been wanting to use for myself so even if it ends up not making any money I’ll still be one happy man. Just when I need a summary on creating apps for bigginers. Can’t wait to see your new creation, wishing you the best with the sales, you have certainley worked hard on it. LOVE that I found your blog. Just amazing. Something that stood out to me when reading this entry: “If you’re split-testing your sales page, down the line you’ll likely have copy that converts at a fairly good percentage. At this stage, you can put money into things like PPC advertising”. This seems to be referencing some kind of organic (read: unpaid) marketing pipeline that is initially executed BEFORE spending a penny on paid traffic? Could you elaborate on this a bit more? I saw the plugin earlier on and all I could say is that ITS AWESOME and BEST IN THE WORLD! 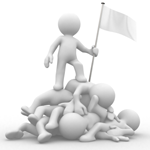 The plugin will make bloggers to RISE ABOVE HATE and that is THE TRUTH! Nice concept man and I hope it makes you the millions you so desire. I wasn’t aware that WordPress Plugins could generate so much money..! It’s so much easier to understand and learn new things about technical areas and product creation when someone lays it all out in front of you in an easy to read fashion. This post was just that! Excellent post! There is a lot of information mentioned above that is extremely viable to creating a great app. Thanks for a great reading experience. Solid post, looking forward to the app! I have a few decent web-app ideas that I was on the fence about, but after reading this it’s definitely looking like a future business project. I just purchased OptinSkin and LUV it. This post was great also because I developed a WordPress plugin for guest posting and the support part of it was a nightmare for me. I got a lot of good info here especially about the debugging part ( WPdebug). I don’t know if my programmers did that and I’m starting to think if I had requested that be done, I wouldn’t have had such a hard road. But hey – it was my first time. Like you said, I gained a lot of knowledge and will know better moving forward. I have a wordpress blog but I never really paid much attention to it. Your insights will definitely help me make money with my existing WP blog . WordPress is licensed as GPL (the license it uses I mean). It is my understanding that all theme PHP code, plugin code, and otherwise that uses their API calls must be licensed similarly. If that is so…then what is to keep someone from simply buying a plugin and then selling it on their own? Cutting you out of the picture other than…well…to give you credit for being the original creator? So then it would still be illegal for anyone selling it as their own. Amazing post, I never even thought about the app world but now im super intrigued. Wishing you the best of luck for your hard work! I am on the other side of your story. I am a developer who keeps getting involved with users who get distracted by bright shiny objects that have the potential to make faster and more money than the last one (greed kills…). I am currently working on my own pet project which I hope will be successful but unfortunately I only majored in computer science, not computer science AND statistics which are the two major areas I need deep knowledge in. It would be so easy for someone else to take my idea as it seems obvious. I have seen no success or fail stories so am struggling ahead (2 years now with 3 restarts) alone. Your post inspires, again good luck! Im in the middle of developing my app and currently working with a development company. Anyways I hoping to see if you could answer some questions for me. Please send me an email whenever possible.